[Corona, CA – 10/27/15] The best and brightest new products in the residential and commercial construction and landscaping industries have been announced, and Corona and Bellota tools were among the winners. "As manufacturers strive to go the extra mile to add useful and often game-changing innovations to their product offerings, we want to point them out so our Pro readers know who's leading the pack," said Clint DeBoer, executive director of the Pro Tool Innovation Awards. "These manufacturers and companies have truly earned a coveted spot in the toolbox of any tradesman, contractor, or construction professional." UT 65050 features high-carbon steel blade for maximum performance. A flip-up tab on the bolt meaning no tools are needed to change the blade quickly. Crosshatch grip on blade makes for easy replacement. Use one hand to cut pipe with ease whether you’re left or right handed. Bellota POP-R is made with a wide reinforced cast aluminum base with underneath ribs ensure rigidity, stability and precision while scoring and breaking ceramic, porcelain and mosaic glass tiles. Reinforced rail bar supports connect with the entire width of the base and with a double anchor to optimize the resistance to stress and a faithfully transmit the efforts of the user. Secure and precise holding of the scoring wheel in the tool holder is accomplished with an inner steel shaft. Extra-wide trapezoidal sliders improve rigidity, and provide exceptional toughness and wear resistance as well as a smooth gliding all along the bars. PTIA Judges Say: “Precise manual tile cutting isn’t easy to accomplish, but Bellota helps in a couple of key ways. They went with solid steel bars and sliders that ensure sliding is smooth – an essential part of ensuring that scoring is precise. They also chose materials to help dampen the breaking force. A break that hasn’t been dampened by the tool has to translate that into the user’s hands or to the tile, causing pain or cracking the tile. 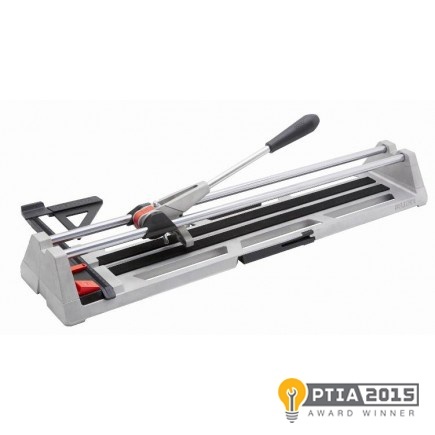 For further information about Corona PVC Pipe Cutter and Bellota POP-R Manual Tile Cutters, please visit our website, coronatoolsusa.com. For sales information contact Corona customer care at 800-847-7863 or sales@corona.bellota.com. Founded in the 1920s, Corona is a leader in the marketing and manufacturing of professional and consumer tools for the lawn and garden, landscape, irrigation, construction and agriculture markets. 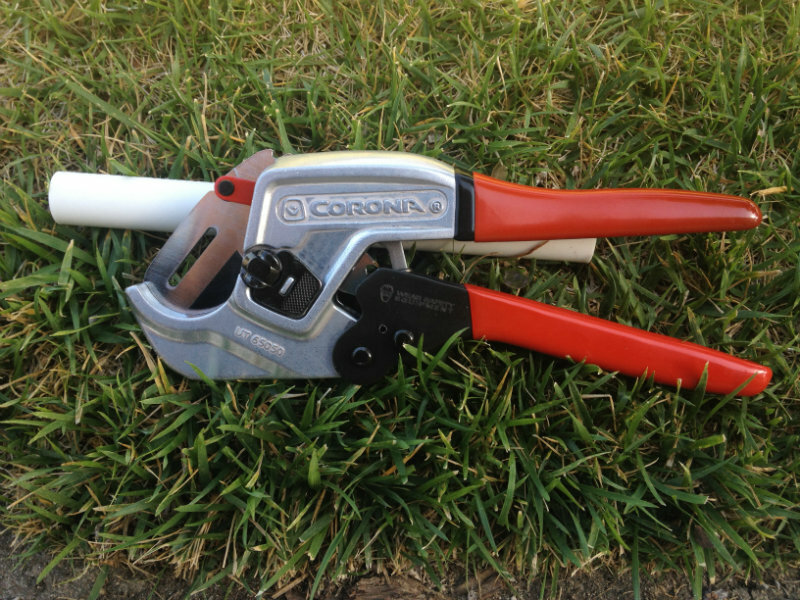 With a retail and distribution network that extends throughout the United States and Canada, Corona’s proven designs, quality manufacturing processes and unparalleled customer service make it the best choice in tools for contractors, agricultural professionals, master gardeners and avid gardeners alike. For more information, visit www.coronatoolsusa.com. Find Corona Tools on Facebook, Twitter, YouTube and download the Corona Tools garden app for both Apple and Android devices.